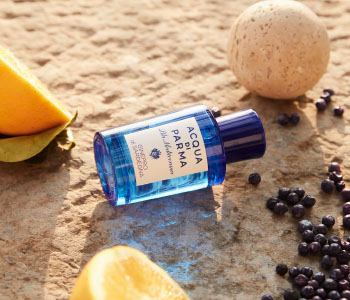 Escape to Mediterranean coast with Acqua di Parma Blu Mediterreaneo Ginepro de Sargegna. A dynamic essence that explores the wild beauty of Sardinia, it is a fusion of land, air and sea. Both intense and light, fresh and warm, redolent of elegance and energy. Ginepro de Sardegna refreshes with bergamot, pepper, cypress and cedarwood, which accentuate the invigorating facets of juniper beautifully.